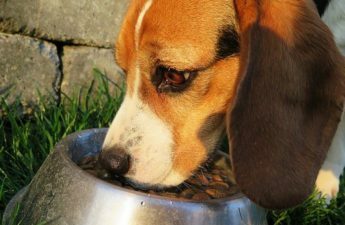 Golden Retrievers are one of the most popular breeds out there, and with good reason. They are smart, beautiful, friendly to everyone they meet, and have a comical side to them. The owners of these dogs know how loyal and special they are, and are proud to show them off. Any owner of a Golden Retriever will be happy to share stories of their dog, and will proudly take their dog anywhere with them. A Golden Retriever will try to win the heart of anyone they meet, even if that person is not a dog person. If you know someone who owns a Golden Retriever, or if you own one and are looking for something unique for yourself, then you have come to the right place. 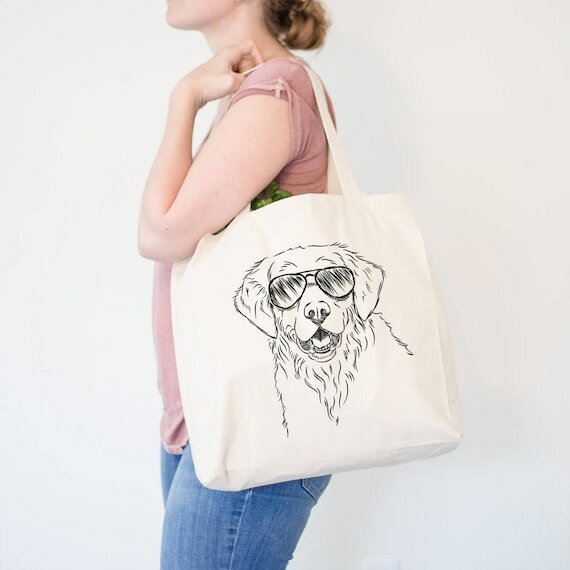 The following is a list of Gifts For Golden Retriever Owners, I have selected some of my favorite items that I have found on Etsy. I am sure you will find something unique for either yourself or the Golden Retriever owner in your life. When you own a Golden Retriever, you know that you will be doing a lot of walking. 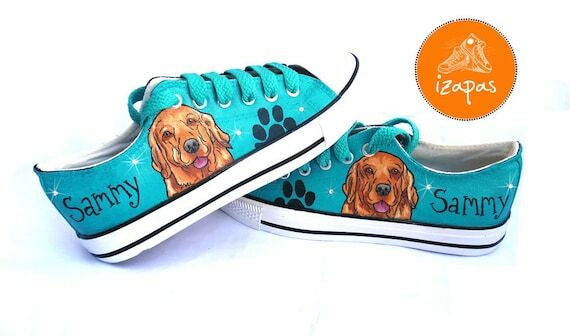 Look at how great these shoes are, they are hand painted and customized with your dogs name on the side. You will be walking in style in these sneakers, there are different color options available too. When you are hanging out with your furry best friend, you want to be comfortable. This sweatshirt comes in a variety of colors and is super warm and comfortable. Look stylish with the face of your favorite breed on the front. These leggings are super soft, stretchy, and comfortable. Use them for yoga, working out, hanging out, or walking your dog. 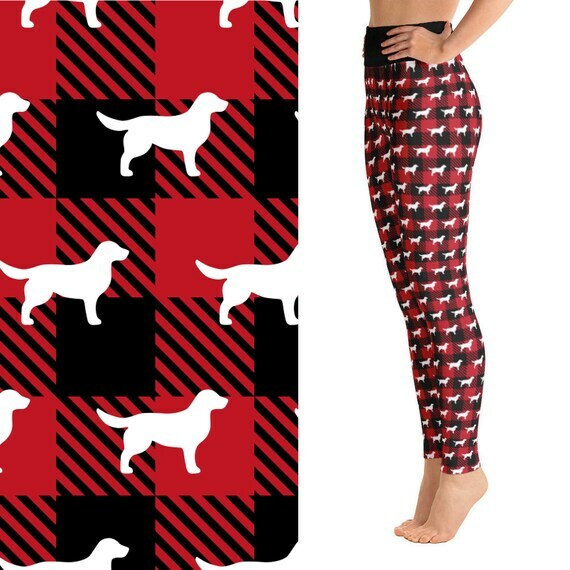 They come in a cute red and black plaid print. If you own a Golden Retriever, you know that they are capable of being stubborn. This shirt just about sums it up, when a Golden Retriever does not want to do something, then it simply will not do it. Unless of course there are treats involved. 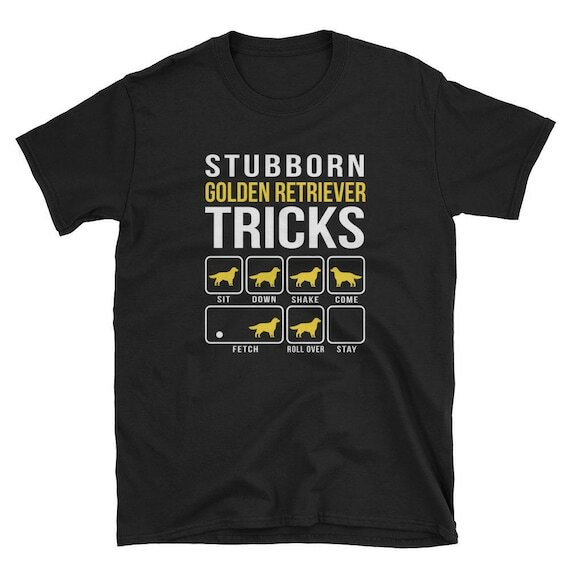 This shirt is great for any golden owner, because they can all relate to this. Choose from either navy or black. Golden Retriever owners love to show off their dogs, and they love to display anything that has a Golden Retriever on it. This tote bag is great for when you are going grocery shopping, or going to the gym. Of course it is best used for carrying all of your dogs essentials. Made from 100% cotton canvas. 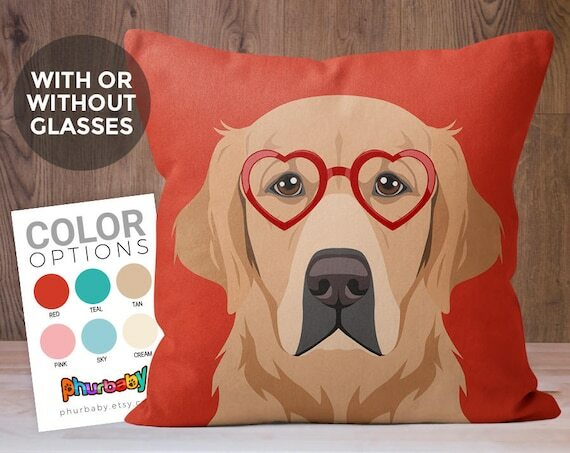 Who wouldn’t want to snuggle up to their pooch with this adorable pillow. Any owner that is obsessed with their Golden Retriever would love to have this in their home. Available in 6 colors and the option to have the heart glasses on or off. 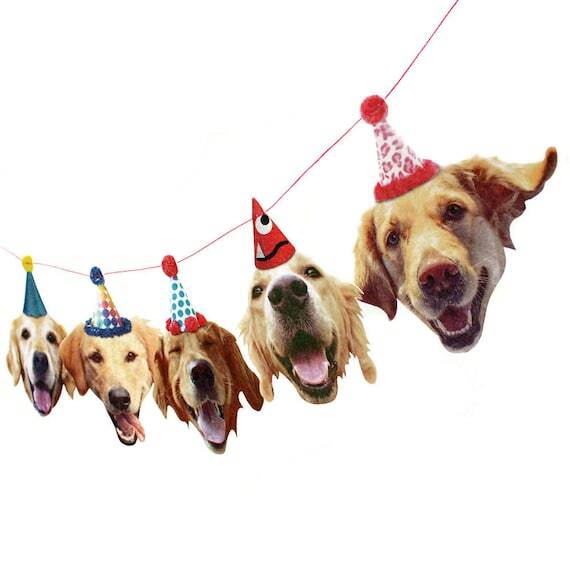 Celebrate your dogs next birthday by having a party and displaying this garland. Super cute, and sure to be a hit. You can even use this garland for yourself, after all you are a Golden Retriever lover. 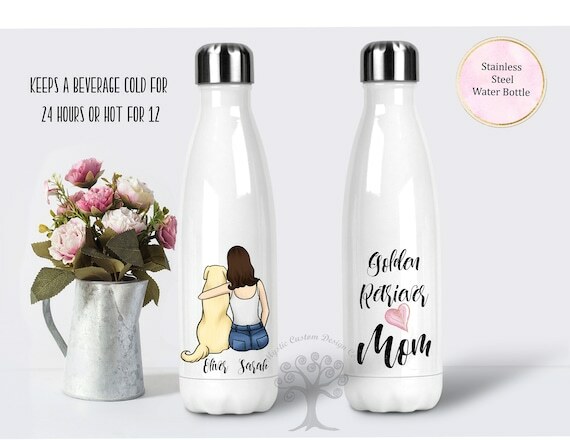 Hydrate yourself, while showing off this personalized stainless steel water bottle. This makes a great gift for any Golden Retriever Mom. This water bottle is BPA free, and Eco friendly. You can personalize this with your name and your dogs name on it, as well as choose the hair color and style of yourself, and the skin color. Every Golden Retriever owner knows that their dog is not just a dog, but a part of their family. The bond that you have with a dog becomes so strong. 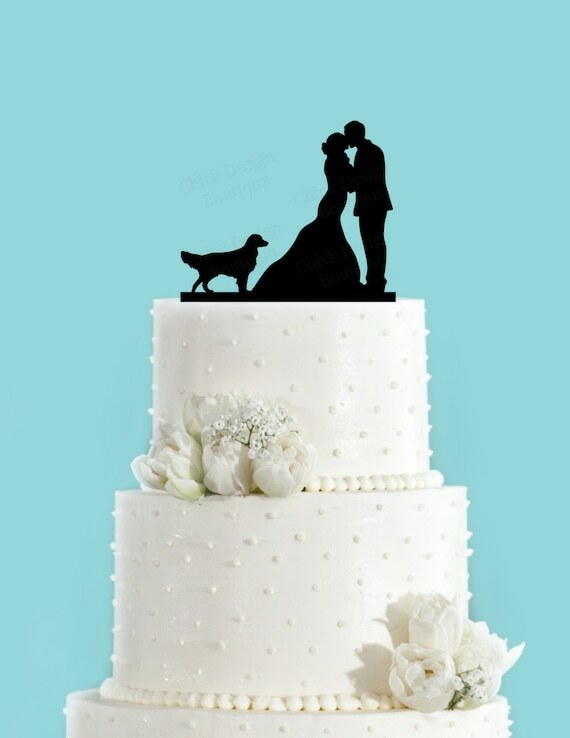 This cake topper is a great way to showcase to everyone that your golden is part of the family, and belongs with you as you celebrate your wedding day. Proudly display your family name, and let everyone know that you own a Golden Retriever too. 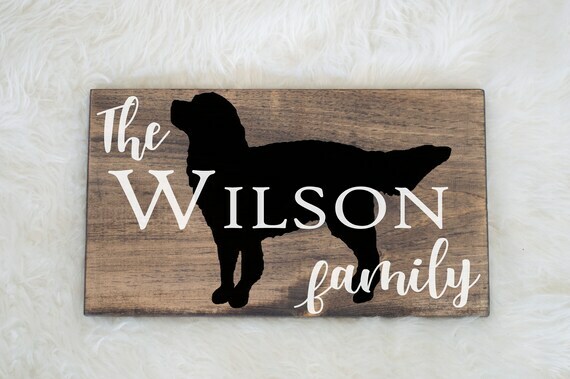 This wooden sign makes a great gift for any occasion and for the dog lover in your life. 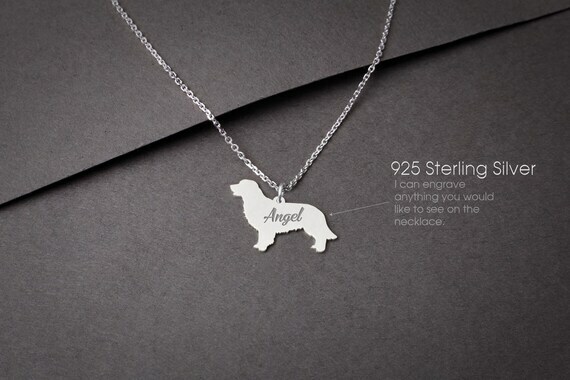 Keep your furry best friend close to your heart all day by wearing this sterling silver necklace. Can be engraved with your dogs name on the front or the back, or no engraving at all. This is a great way to remember a dog that is no longer with you. 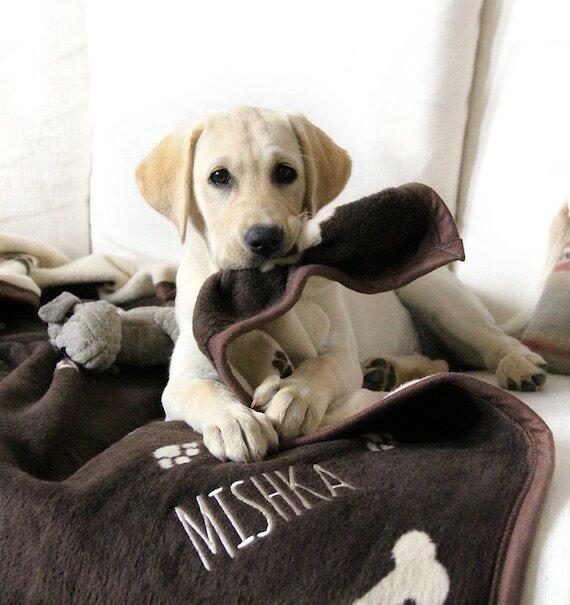 Give your dog a cozy blanket that can be embroidered with his/her name on it. The blanket comes in a brown and cream color with your choice of embroidery color, and choice of font style. When shopping for a Golden Retriever owner, you really can’t go wrong with anything that has a Golden Retriever on it. 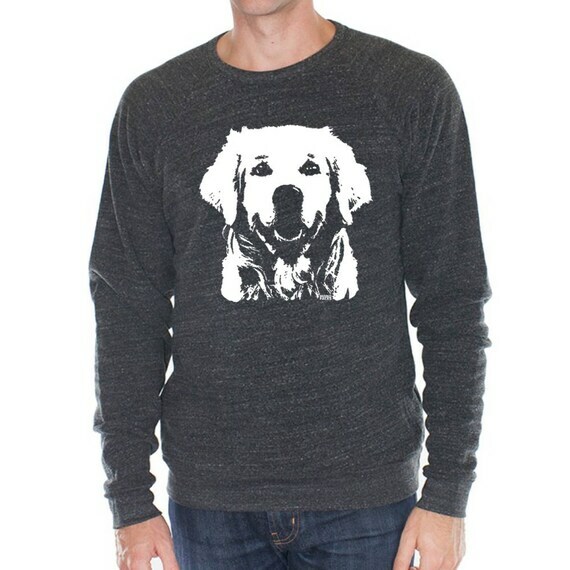 We really are obsessed with our dogs and are proud to wear or display anything that has a Golden Retriever on it. When it comes to personalized gifts, and finding unique one of a kind items, you really can’t go wrong with Etsy. There are so many unique and handmade items to choose from, it really was hard to come up with this list of just 12 items. Dog lover gifts are always welcome any time of the year, and are great for any occasion. I hope you are able to find something great for that Golden Retriever owner in your life. Happy shopping.